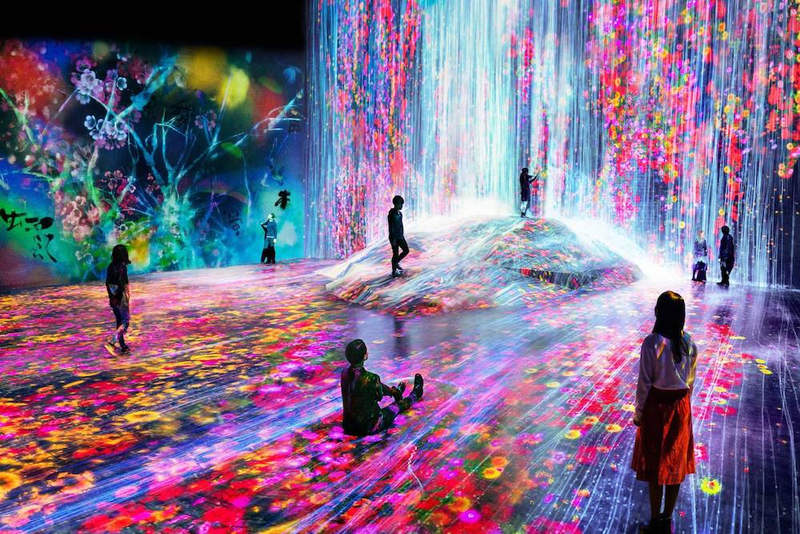 Exhibition view of MORI Building DIGITAL ART MUSEUM: teamLab Borderless, 2018, Odaiba, Tokyo Source: © teamLab. 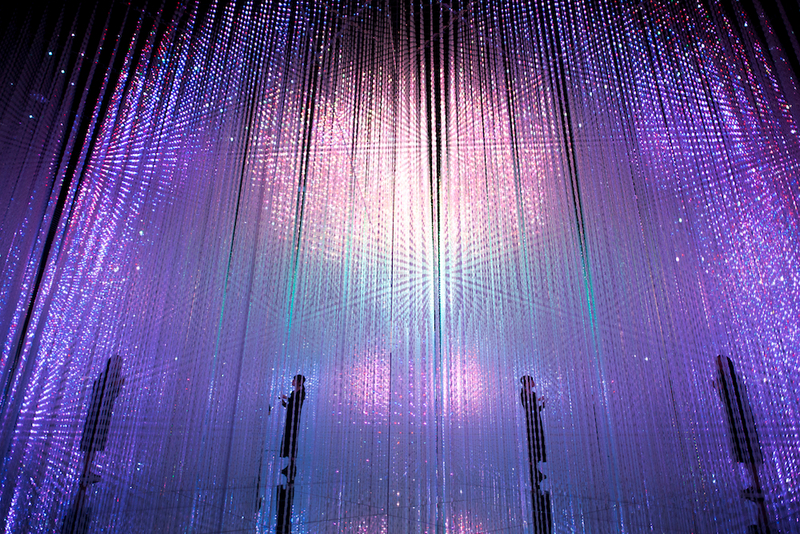 teamLab is represented by Pace Gallery. An extraordinary new art museum opened in Tokyo recently, and even if you normally avoid galleries and museums like the plague when exploring a foreign city, this is one that you should definitely check out. 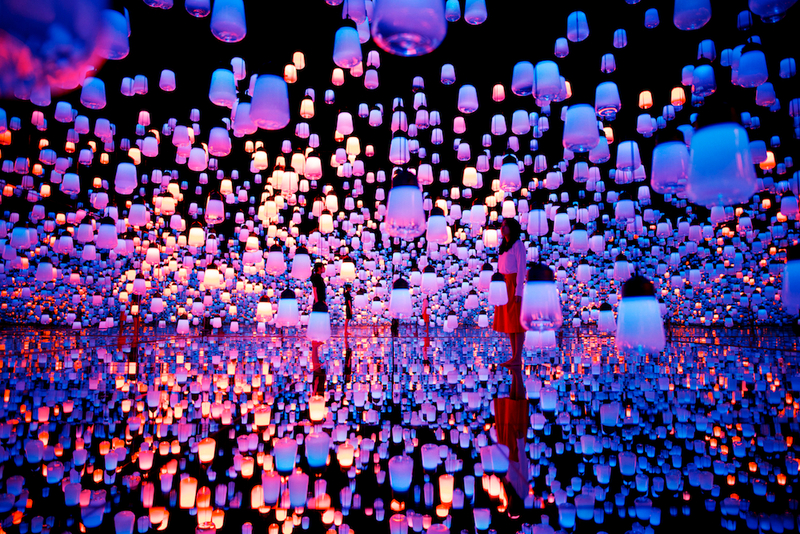 Its name is a bit of a mouthful – the “MORI Building DIGITAL ART MUSEUM: teamLab Borderless” – but in essence it’s a partnership between Mori Building (an urban developer) and TeamLab (a Japanese art collective) that’s resulted in the world’s first digital-only museum – one that allows visitors to completely immerse themselves in the artworks. There are 50 interactive displays that blend into one another throughout five different zones. So you can wander through rice fields, stand under a waterfall, follow shoals of fish or bounce on a galaxy of planets, all thanks to illusions created using 520 computers and 470 high-tech projectors. The new museum is housed over two levels in a former games arcade in the Odaiba district, near Tokyo Bay. Spanning 10,000 square metres, there are no borders between artworks – indeed, some even overlap or fuse with others – and there’s no “right” or “wrong” way to view them – you just move freely through the gallery. It’s definitely not like a traditional art museum, where the rule is usually: “look, but don’t touch”. Here, you’ll actually be in the artworks, interacting with them and experiencing interactions with other visitors. And did we mention the art’s scenery is linked in real-time to the seasons? It means it’s constantly changing, so no single trip to the exhibition can ever be the same. The museum is permanent, but is – as you’d imagine – hugely popular, so be sure to book tickets well in advance. Entrance tickets often sell out in the lead-up to each day, so get organised to avoid disappointment. If you’re going to be on Kyushi island instead of Honshu (where Tokyo is located), there’s also a spectacular new exhibition at Mifuneyama Rakuen – a 500,000 square metre garden in the Saga prefecture. Called “A Forest Where Gods Live” the exhibition has transformed the gardens into an immersive digital-art labyrinth that changes as it reacts with the visitors. It runs until October 28, 2018. In 2019, teamLab will also be putting on its inaugural Brooklyn show, in Industry City in Sunset Park. The high-tech art collective plans to recreate a number of installations currently on view in Tokyo. 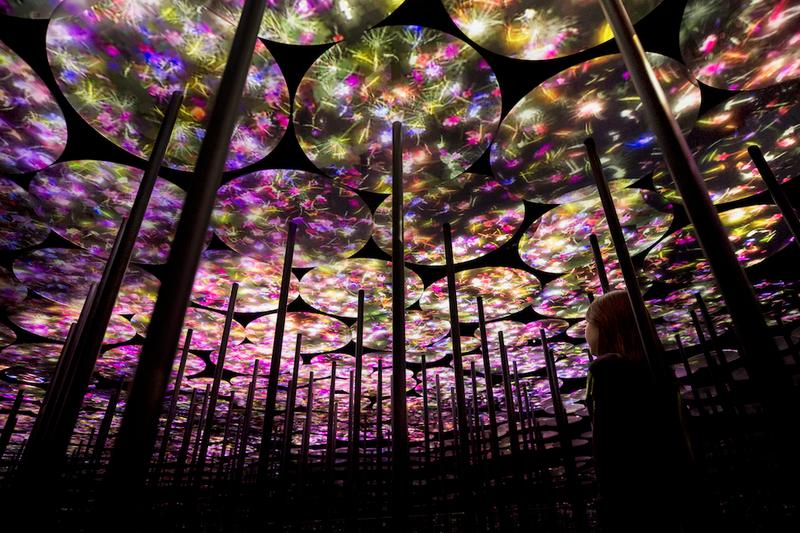 And if you can’t make it to any of these, you’ll find works by teamLab in a number of galleries around the world, including the Art Gallery of New South Wales in Sydney; the Art Gallery of South Australia in Adelaide and the National Gallery of Victoria in Melbourne. See Japan at its most beautiful! $842 per person onboard credit!